At just 110,000 square miles, Ecuador is one of the smallest countries in South America, but it definitely outshines its neighbours with an impressive diversity and unique landscapes. From the rugged Andes Mountains to the lush Amazon Rainforest and the Galapagos Islands, it may be one of the most diverse and unique destinations in the world. Perched high in the Andes Mountains, the capital of Ecuador is a history-rich city with plenty of culture and charm. It stands at most than 9,350 feet (2,850 metres) above sea level, so take precautions against altitude sickness if you’re flying directly into the city. 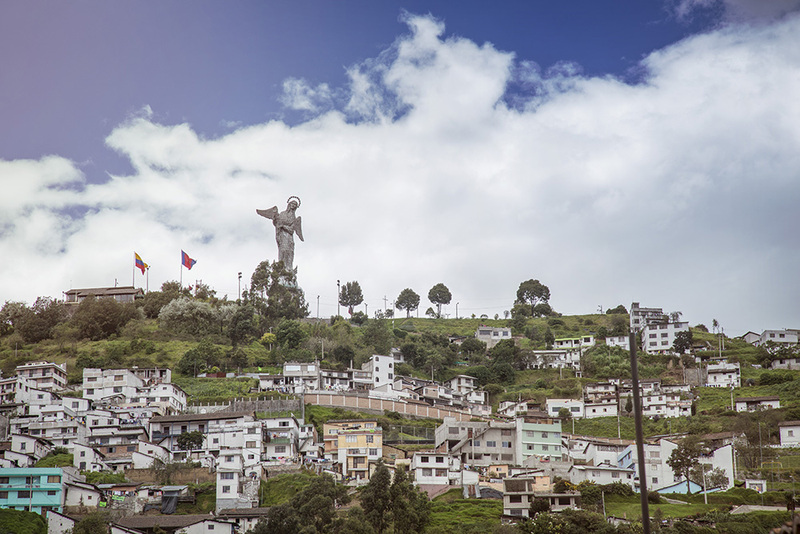 Quito is a sprawling metropolis that comprises three different districts, including the Old Town, which is a charming UNESCO World Heritage Site chock-full of colonial-style architecture and baroque churches. Some essential sites include the Iglesia de San Francisco and La Compañía de Jesús. As you may have guessed from the country’s name, the equator actually cuts through Ecuador — there is in fact an interesting spot where you can literally cross it. Known in Ecuador as mitad del mundo (“the middle of the world”), the line lies just outside of Quito, at the spot where explorers calculated the equatorial line in 1736. These days, the spot is a tourist attraction with a painted yellow line indicating the equator, as well as a museum and a planetarium. 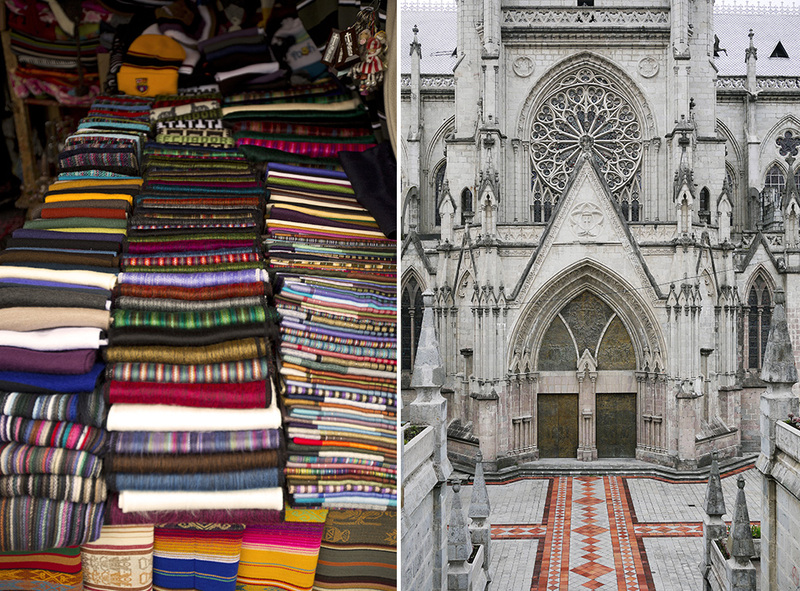 From left: the National Basilica in Quito; textiles at a market stall. Just an hour's drive from the capital is the Cotopaxi volcano, which can be seen looming in the distance from many spots in Quito; up close, it's even more imposing. Standing at around 19,347 feet (5,899 metres) above sea level, Cotopaxi is the world’s third-tallest active volcano. It's also one of the few places in the world where you’ll find glaciers so close to the equator. Climbing the great snow-capped volcano is one of the highlights of Ecuador for trekking enthusiasts, but it does require a licensed guide, and takes around two days. For non-climbers, Cotopaxi National Park is easily accessible by car, and open to the public when the volcano is not extremely active. The Amazon extends across Ecuador’s eastern part and stretches into several other South American countries. The massive forest houses at least 10% of the world’s species, including 1,600 different species of birds, 350 species of reptiles, and plenty of mammals, from jaguars to howler monkeys. It’s crisscrossed by thousands of rivers which account for 15-16% of the world’s total river discharge into the oceans. Although Brazil’s Manaus and Peru’s Iquitos are more popular with travellers, Ecuador’s Lago Agrio is perhaps the cheapest gateway to the Amazon in South America. Another popular Amazon gateway town is Baños de Agua Santa, commonly referred to as Baños. The mountain town is located 100 miles south of Quito, on the northern foothills of the Tungurahua volcano. Baños was named after the mineral-rich and therapeutic hot springs that are found all over the city. There’s no shortage of fun, outdoorsy activities here, including canyoneering, bridge jumping, climbing waterfalls, white-water rafting and horseback riding. Hippies at heart will love this laid-back and bohemian beach town on Ecuador's Santa Elena Peninsula. Most travellers and vacationing Ecuadorians come to Montañita for its strong surf breaks: the sea here offers strong, consistent waves and good tubes, making it a great place for advanced surfers, and a challenge for beginners. Each February during Carnival, Montañita hosts an international surfing competition. Even if you aren’t a shopper, the Otavalo Market is a great place to visit to experience the culture of the Indigenous Otavalo people. Located about an hour's drive from Quito, this Andean town is built on trade, and the Mercado Artisanal (Artisan Market) is its largest draw these days. The Otavalo people are easily recognized by their traditional dress: white pants and a dark poncho for men; a dark skirt and a white blouse with colourful embroidery and waistband for women. Their traditional handicrafts are on sale in the artisanal market, alongside weavings, jewellery, paintings, and wood carvings. 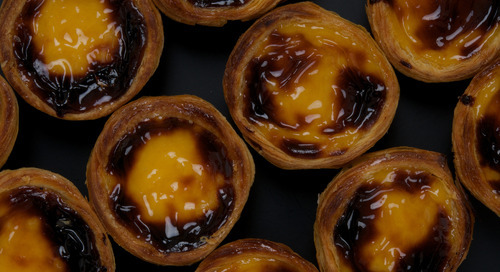 Saturday is the main market day, but there are stalls open at Plaza de Ponchos all week. Ready to visit mainland Ecuador? G Adventures can get you there. Check out our small group tours to Ecuador here. Happy holidays from G Adventures!